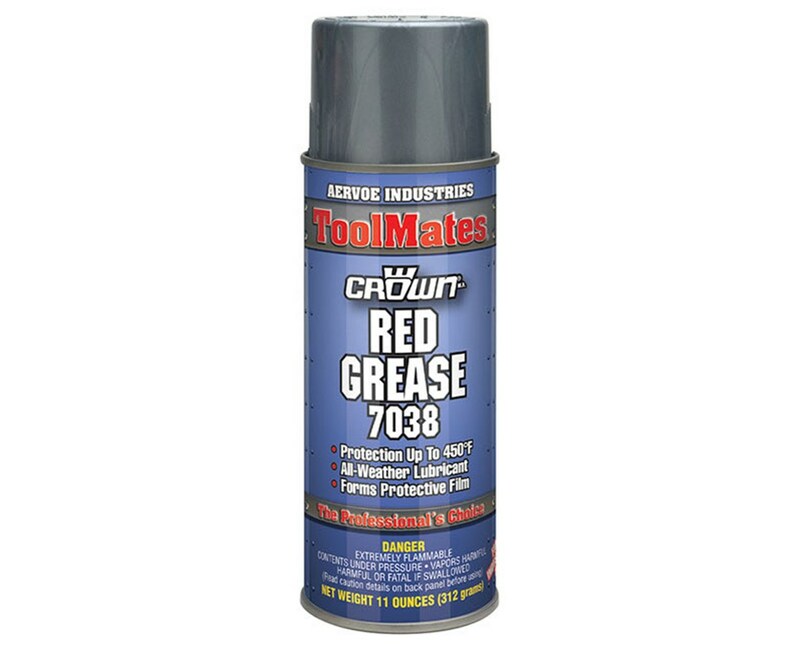 The Aervoe ToolMates Red Grease Lubricant (12-Pack) is an NLGI (National Lubricating Grease Institute) Grade Z aerosol grease that offers all-weather lubrication for gears, bearings, pumps, bolts, hinges, and cranking mechanisms. It features an aluminum complex-based formulation that reduces friction between moving parts eliminating squeaks and squeals. Its red color provides excellent visibility for easy inspection. Ideal for manufacturing facilities, this grease lubricant by Aervoe resists corrosion and oxidation on unpainted surfaces. It is suitable for metal, plastic, or rubber surfaces and produces a protective film that can withstand loads and speed. It has working temperature range of 0 degree Fahrenheit up to 450 degrees Fahrenheit (-17 degree Celsius to 232 degrees Celsius) making it effective for indoor and outdoor use. The Aervoe ToolMates Red Grease Lubricant (12-Pack) is equipped with a heavy, conical spray that prevents dripping or running when applied on vertical surfaces. It also comes with an extension tube to enable easy and precise application even on hard-to-reach spaces. 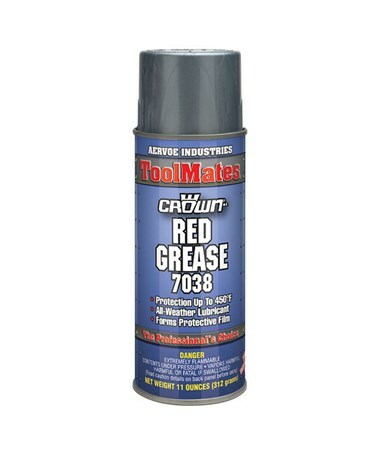 Each package includes 12 cans that contain 11 ounces of red lubricant and a one-year manufacturer’s warranty. Working temperature of 0°F to 450°F (-17°C to 232°C).